Location: Northwestern Santa Monica Mountains, south of Agoura Hills and north of Malibu. From Highway 101, take the Kanan Road exit and head south for 6.1 miles. Turn right onto Mulholland Highway and go 0.9 miles to a fork with Encinal Canyon Road. Continue onto Encinal Canyon Road. The trail head is on the left at 0.7 miles. Parking is not allowed directly near the trail head but you can park in a small lot on the right side of the road; if parking is not available there, use either of two dirt turnouts a short distance beyond. From Pacific Coast Highway, take Kanan Dume Road north for 6.2 miles. Turn left on Mulholland, go 0.9 miles and continue onto Encinal Canyon Road. Alternately, from the Point Mugu area, take Pacific Coast Highway to Encinal Canyon Road. 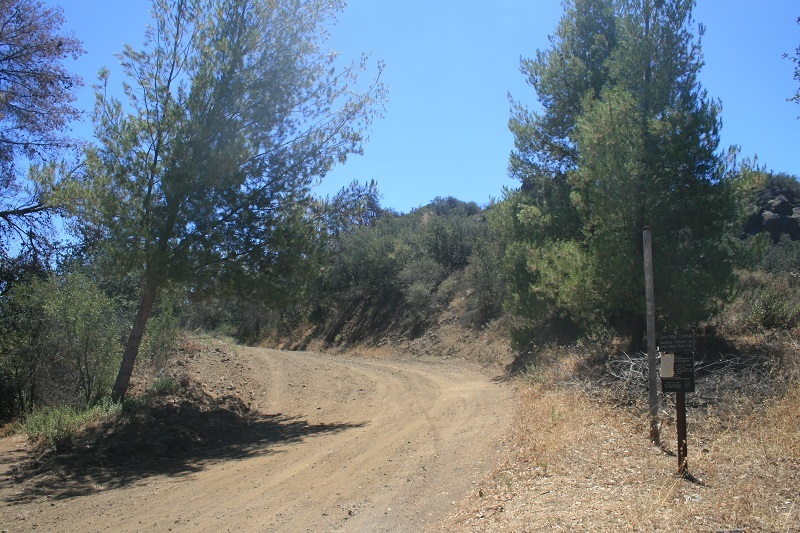 Head north on Encinal Canyon Road for 7.8 miles to the trail head which will be on the right. If you’ve sworn off hiking on fire roads, you might want to make an exception for this one. The Zuma Ridge Motorway offers excellent views in all directions and while you may find yourself sharing it with cyclists and an occasional service vehicle, by and large it receives fairly light visitation. The entire motorway is almost 6 miles long, starting from Encinal Canyon and continuing all the way down to the Zuma trail head near Pacific Coast Highway. 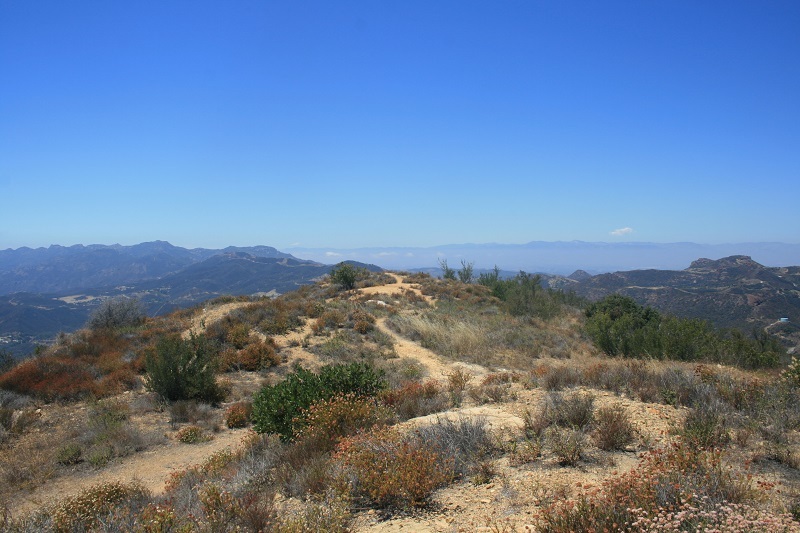 While the whole route can be done as a very ambitious day hike or as a mountain bike ride, the upper two miles – from Encinal Canyon to Buzzard’s Roost Ranch – make for an enjoyable excursion that can easily be fit into an afternoon or a morning. From Encinal Canyon Road, follow the motorway uphill briefly before dipping downhill to a junction with the Backbone Trail. 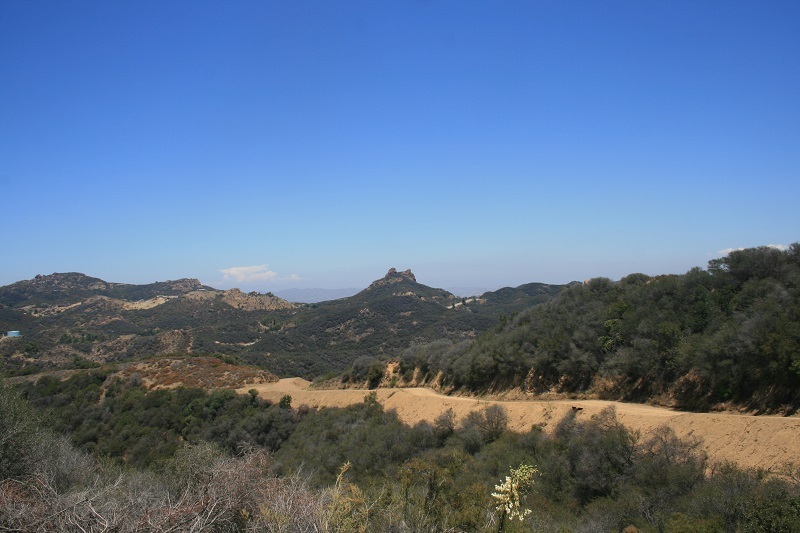 Here you begin the main ascent of the trip, climbing steadily as the road takes in views of Castro Peak to the east, the Boney Mountain group to the west and Mitten Mountain, the Simi Hills and even the distant Topa Topa range to the north. 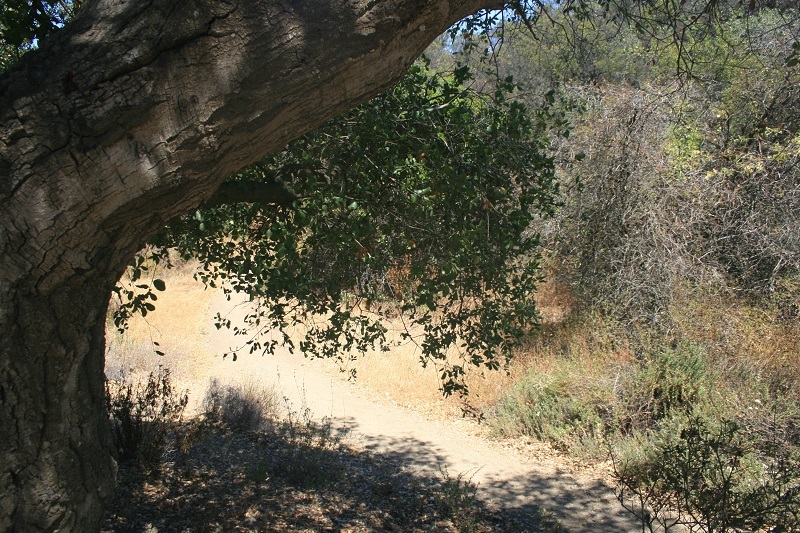 At 1.8 miles, you reach the entrance to Buzzard’s Roost Ranch, a private inholding in the Santa Monica Mountains. At about 2,400 feet above sea level, this is the highest point on the Zuma Ridge Motorway, which now begins its long decent toward the Malibu coastline. Two logs beneath a pine tree make for a perfect rest spot to enjoy the ocean views to the south. A short use trail climbs up a knoll on the right, providing a 270-degree panorama (a few taller hills to the east that are part of the Buzzard’s Roost property block vistas in that direction). This is one of the highest points between Castro Peak and Boney Mountain. 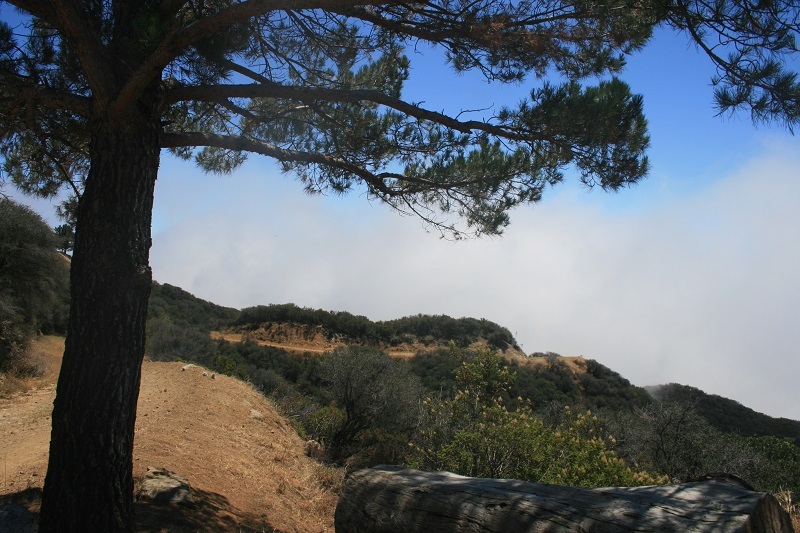 After taking in the panorama, retrace your steps back to Encinal Canyon Road. You can of course continue downhill and south on the motorway but unless you’ve lined up a shuttle at the bottom end, be ready to retrace your steps back uphill.